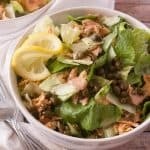 Salmon piccata salad is a lovely blend of greens, flaked salmon and two dressings that compliment each other in a flavorful way. It’s been a month or so since I shared my Salmon Piccata recipe. When I make salmon piccata I usually make enough to have leftovers for Salmon Piccata Salad the next day. However, this recipe also works if you have leftover salmon from something else. Reheating leftovers doesn’t always go over well at my house, so being able to use leftovers and present them as a new dish is a plus! For this recipe I mix both romaine and iceberg lettuces. Lemon pepper seasoned salmon is preferable for this recipe but not required. If you want lemon pepper salmon you can see how to prepare it from my Salmon Piccata recipe. The first of the two dressing I use is warm piccata sauce. 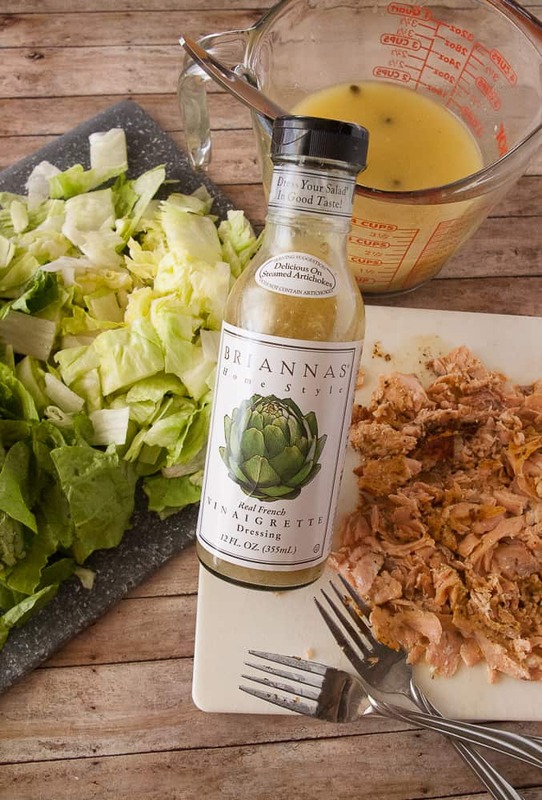 The second is Brianna’s French Vinaigrette and yes, it is a must because it pulls the lemon flavor in the piccata sauce out, enhances the capers and just adds an overall nice tang. Without it your salad will be bland. 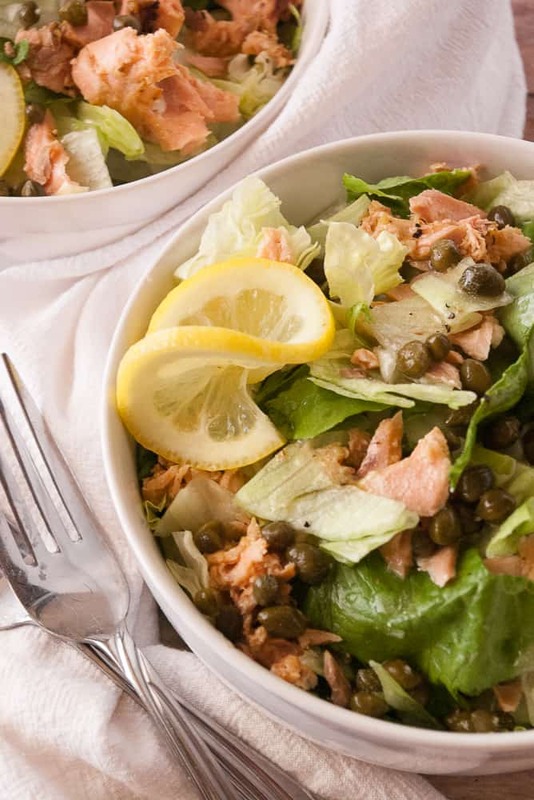 To build this dinner salad, toss the flaked salmon with the lettuces and drizzle with the piccata sauce and the french vinaigrette. That’s it! Enjoy your Salmon Piccata Salad! Mindee, this salad looks fabulous! I love salmon piccata and serving it on a salad is brilliant! Thanks! 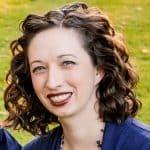 It’s one of my husband’s favorites!